It’s no secret consumers are embracing technology in nearly every aspect of their lives—even healthcare. 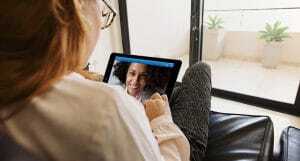 As it turns out, according to a new study by the University of Rochester not only is telehealth access improving child health both in schools and at home, children are responding positively to it in all manner of settings. One of the most common childhood health concerns is asthma, with roughly 1-in-10 children experiencing it at some point in their lives. The wheezing, the struggle for breath, the confusion, they’re all distressing for child and parent alike. But before treatment can begin, which can successfully handle almost all symptoms via preventative medicine in combination with immediate measures, there must be a diagnosis. Minority children and those in other underserved communities largely are not receiving treatment, though this is true to some extent for all groups. This inevitably leads to preventable visits to emergency departments. 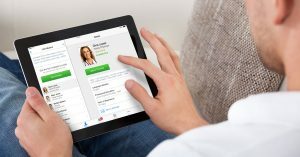 The study by the University of Rochester has shown that, through a blend of in-person care from school nurses and telehealth access at home, have better health results. The important factor is whether the child takes their medicine with supervision from a trained healthcare professional. At schools, this is done in the presence of a nurse who can ensure inhalers and other medications are properly administered. At home, though, even with help from a parent or guardian, delivery may be less than best. 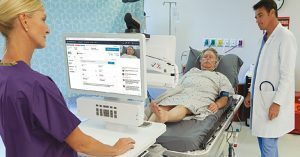 Telehealth access at home bridges that gap. Over the course of the study, emergency department visits for asthma-related health concerns were reduced by more than half and generally had more symptom-free days. Better, the most common participant in the home aspect of the study were school nurses or the child’s existing primary care provider. This means that established relationships, which are important in fostering trust and medicine regimen compliance, are strengthened. To be direct, with the simple addition of telehealth to existing school nursing practice, kids with asthma were healthier, in school more often, and experienced fewer problems. More and more hospitals and clinics are already using telehealth in pediatric care, for asthma and everything else, to the point that it is becoming the new normal. Almost two-thirds of parents surveyed indicated not just that they are willing to use telehealth but actually eager to do so. Better, multiple states have already awarded massive grants for pediatric telehealth, especially in “healthcare deserts.” So, in addition to working, pediatric telehealth is increasingly affordable. Parents, healthcare professionals, and school leaders alike need to be paying attention to telehealth. It’s not the wave of the future. It’s now.